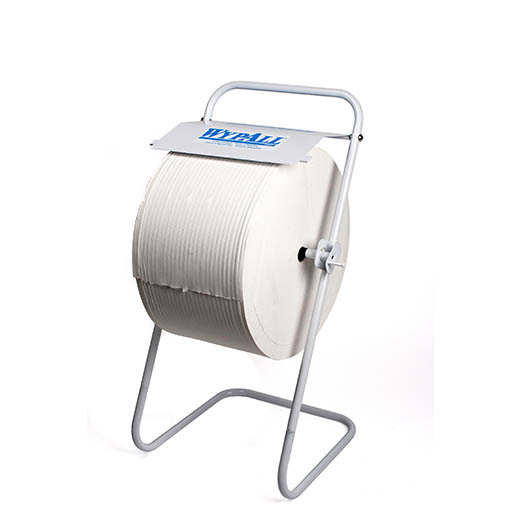 A mobile, free standing dispenser for wiper rolls. Lockable. Serrated edge cuts the required length. 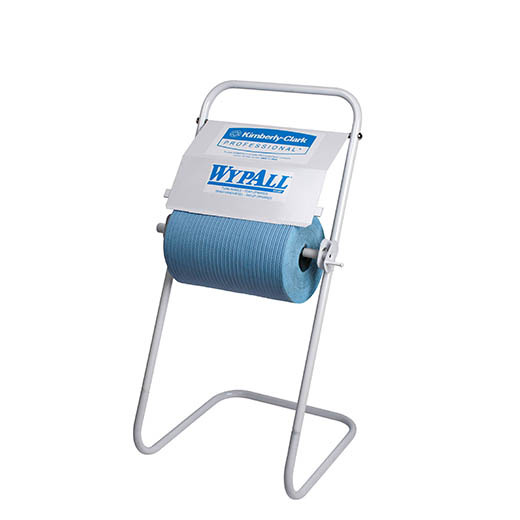 A portable, free-standing rolled wiper dispenser for quick dispensing where you may need it. A serrated edge allows for desired length of wiper to be cut reducing wastage. 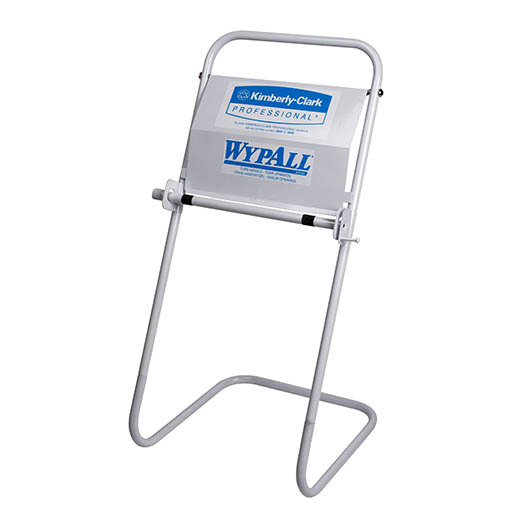 Powder-coated white steel frame is durable and easy to clean. Suitable for a variety of wiper rolls.